Break a world record with us on Wednesday 23 May by joining the largest stargazing session with thousands of other Australians. Organised by the ABC and Australian National University (ANU), the ABC has called on Monash University and other Australian institutions to help smash the Guinness World Record for the most people in one country stargazing at the same time. To break the record, organisers hope to have more than 30,000 people simultaneously observing a celestial object through a telescope or binoculars for the same 10-minute period. The current record, set in 2015 by ANU, is 7960 people across 37 locations, including Monash. Monash’s “Star Party” will be held between 7–10pm on Wednesday 23 May. Curated by our astronomers Dr Jasmina Lazendic-Galloway and Associate Professor Daniel Price of the School of Physics and Astronomy, the evening will involve stargazing, VR spacewalk with Earthlight by Opaque Space, "Ask an Astronomer" sessions with Monash experts, special guests and more. Find out more about the event here. The attempt coincides with the ABC’s screening of Stargazing Live. 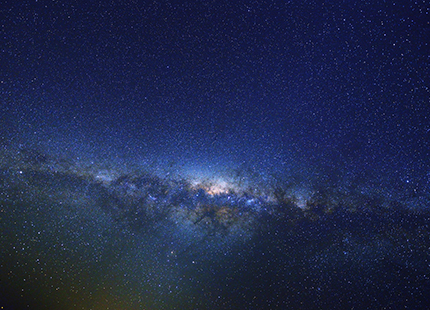 Hosted by renowned physicist Brian Cox and Julia Zemiro, the three-night series has a specific focus on features able to be observed in the Australian night sky.